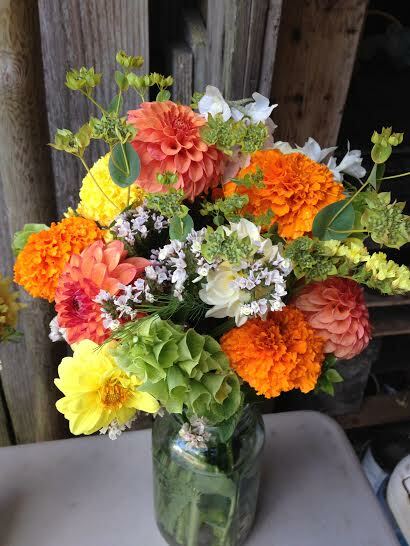 Home / Uncategorized / Why Buy Organic, Local Flowers and Flower Seed? 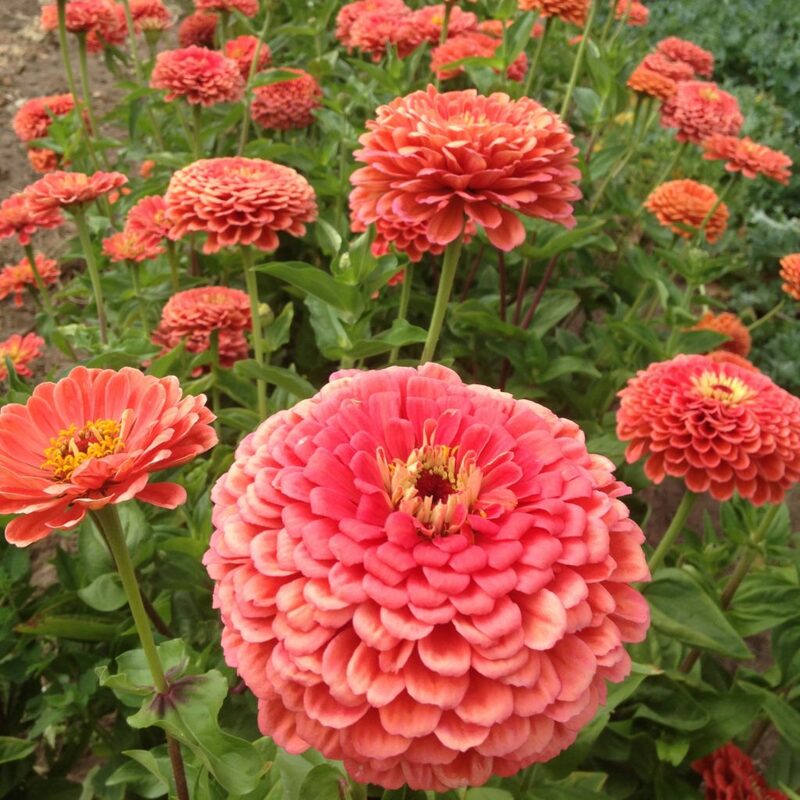 Why Buy Organic, Local Flowers and Flower Seed? I’m guessing you’re not a big flower eater (am I wrong?) so seeking out blossoms grown without the use of synthetic pesticides and fertilizers might not seem as vital as buying organic groceries. However, the joy and beauty flowers bring might be seriously diminished if you consider how they were likely raised. The average grocery store bouquet gets shipped from countries often in South American that haveminimal, if any, herbicide, pesticide, and fungicide regulations. According to the CA Cut Flower commission, a whopping 80% of our flowers are imported. In 2007, the International Labor Rights Fund discovered Ecuadoran flower companies use over 30 different pesticides and that 20% of the chemicals applied on flowers in Colombia are restricted or banned in the US. The global flower industry is dangerous for field workers, florists and consumers alike and does serious damage to soils, waterways, pollinators and environmental health. The International Labor Organization found more than 60% of South American flower industry workers experience headaches, nausea, blurred vision or fatigue and suffer more than the average number of miscarriages. Luckily, we have more opportunities than ever to buy flowers that support safe working conditions and a healthy natural world. In 2005, U.S. consumers bought $16 million in organic flowers and according to the Organic Trade Association that demand is increasing by 50 percent a year. “VeriFlora,” a labeling and certification program started by U.S. consumers, growers and retailers helps fuel that growth. Over 30 farms Colombia and Ecuador boast the VeriFlora label, which bans more than 100 chemicals and requires transitioning to organic growing techniques. Also, the burgeoning Slow Flower Movement, started by flower farmer and activist Debra Prinzing, encourages consumers to know their flower growers and buy flowers raised close to home. Doing so hugely lowers the carbon footprint of your bouquets—and it’s not hard to do as the local flower movement is exploding. Between to 2007 and 2012 the number of US cut flower growers grew 20%! Knowing your farmer is a worthy and attainable goal for your flowers and foods alike. Of course the surest route to chemical free blooms are to grow your own from organic, local flower seed. If you’re not a gardener, no problem, just seek out a local flower farmer or florist whom you can talk to about their growing practices and flower sources. Let’s stop rubbing our noses and hands on the toxins of conventional flowers. With the rise of the local, organic flower movement, it’s easier than ever to ignore anonymous blooms. Show your friends, family and the earth your love buy supporting organic, local flowers.